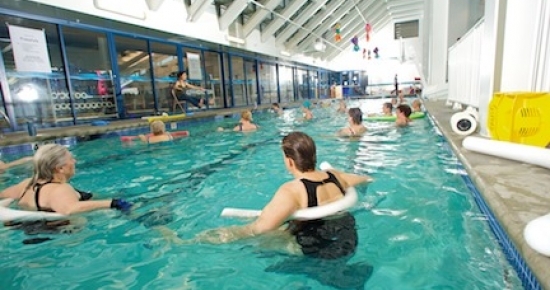 The warm-water instructional pool is a 4-foot, 3-lane, 25-yard pool. The water temperature is maintained between 86-89 degrees, making this pool an inviting and comfortable atmosphere for swim lessons, water exercise classes, water therapy or lap swimming for those who prefer warmer water. What is the temperature of the Splash Park and Warm Water Pool? The temperature is 86-89 degrees all year. It is perfect for therapy, lessons and water exercise for the youngest and older people among us.